When it comes to ideas, I love classic elements with an unconventional spin. It seems to be how I roll through life. The Sailor Jerry Tattoo Eggs, Chevron Studded Jacket and Gemstone Graphic Top are all (crafty) proof of just that. This very concept is why Joules’ Spring 2015 rain boot collection caught my eye. The designs either had a printed interior, a textured exterior or a vibrant bow gracing the back side. Plus, these Mid-Calf Red Wallpaper Floral Booties are pretty darn adorable, and this is coming from someone who doesn’t even like cutesy things. Some of the boots have a striking gold plaque, another design aspect that I really loved. I’ve been sporting these Premium Rain Boot Wellies in French Navy, and decided to create a jewelry DIY to go with it. It wasn’t inspired by the boots in a visual sense; instead, I went along with the concept of classic elements presented in a non-traditional way. 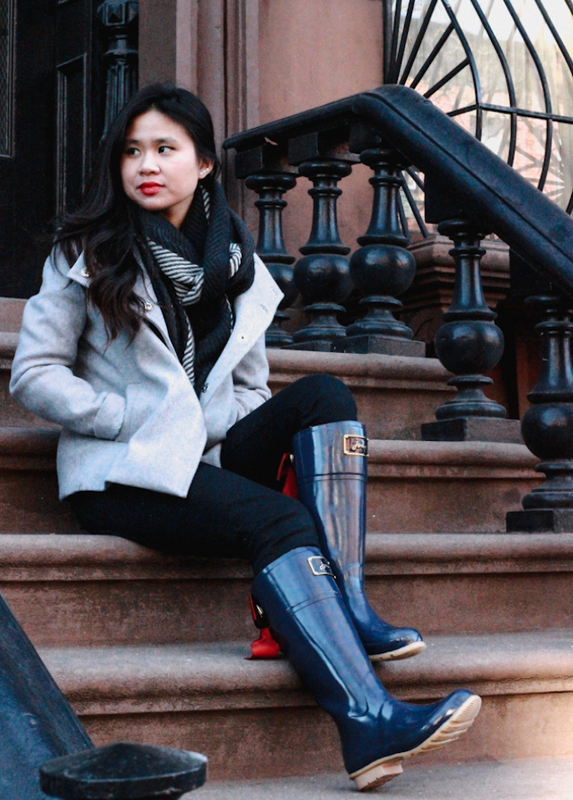 I came up with an edgy pair of Pearl Bar Earrings to go with these eye-catching rain boots. Between the pearls and the bows, both items are feminine in an off-beat way; right up my alley! * The wire that I used is about .5 cm wide. The flat back pearls measured 6mm wide. You can find flat back pearls in the scrap booking section of your local craft store. 1) Cut two strands of flat wire measuring about 7/8 in. Depending on how big or small your pearls are, you may need more or less wire. 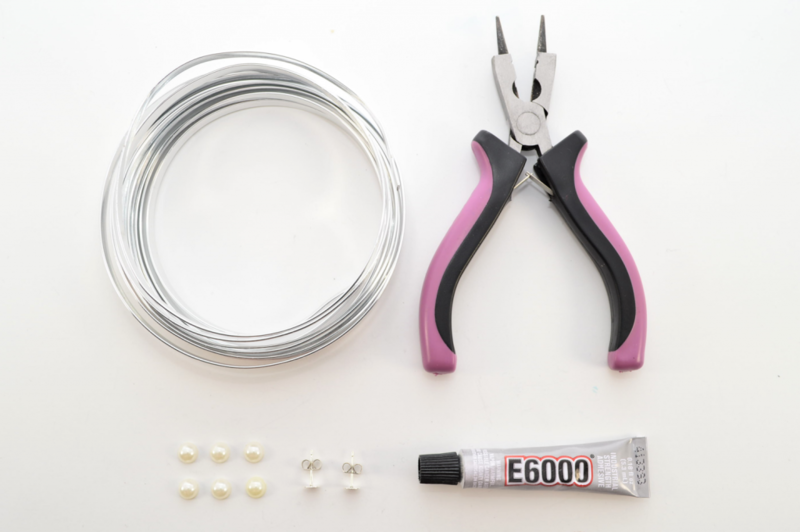 2) Glue three pearl flat backs onto each wire strand. 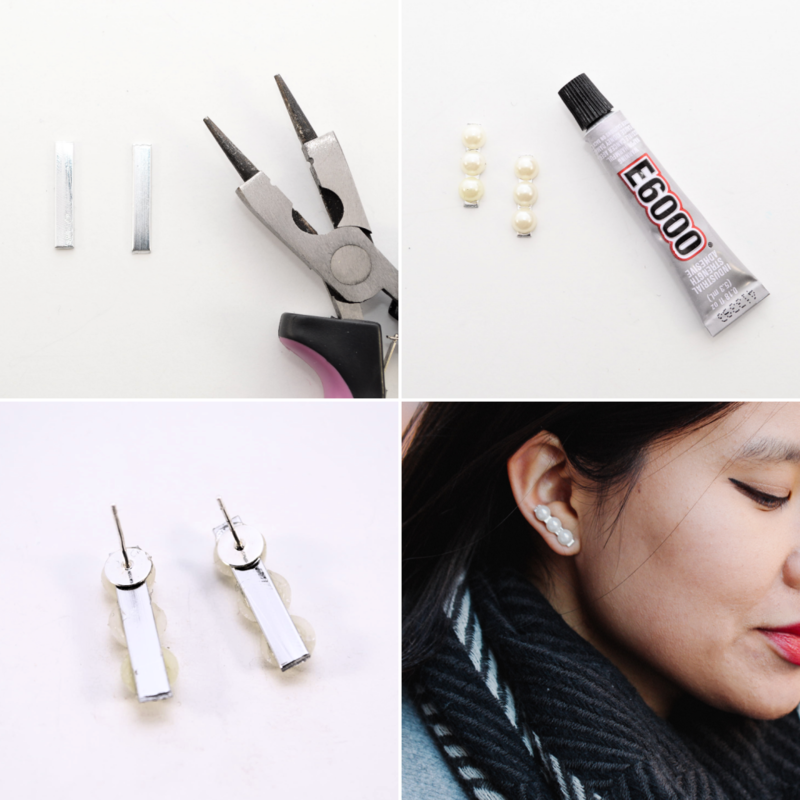 3) Once dry, glue the earring studs to the back of each wire. 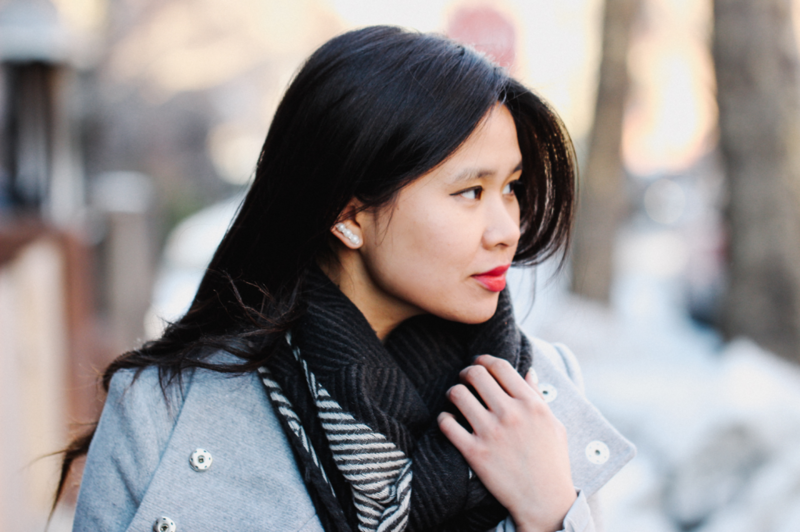 When you wear the earrings, you can position them in two different ways: “climbing” up your ear or hang vertically down. 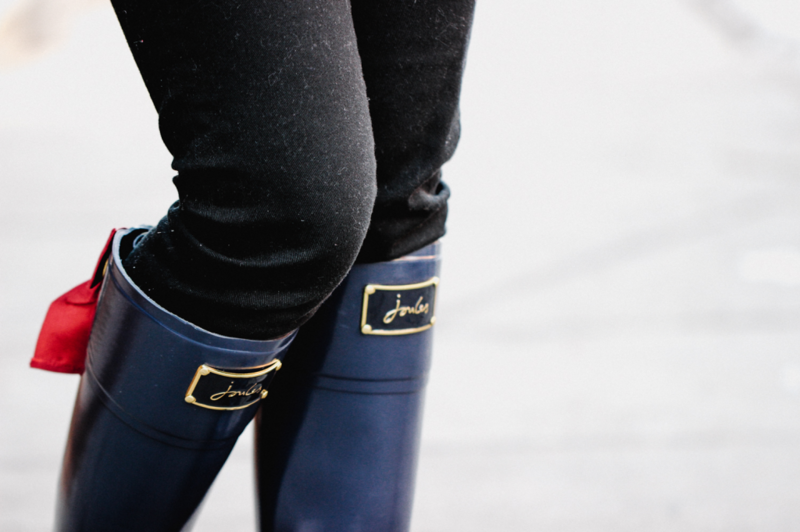 The Joules Premium Rain Boot Wellies in French Navy were provided by Harrison & Shriftman for review and consideration. All opinions and statements are my own.